Here around LaCueva del Fishful - aka my fishing garage shop - we have a saying that I look forward to applying every year; “June is for Jiggin’”. The saying stems from more than 12 years of guiding and filming FTTV shows, and our constant efforts to simplify and categorize (at least to whatever extent that natural elements can be categorized) fishing patterns. After all these years, I know with supreme confidence that here in The West, if I do a good job of finesse jigging, I’ll be in the hunt for any predatory species that swims. It’s true that, on any given day any other presentation might work, but for sure, no matter the conditions, finesse jigging will work to catch me at least a few fish. It’s rare that I can say that about any other technique or time of year; the pattern is that solid. Why June? Because by June, basically all the sport fish are done with their respective spawning cycles and are looking strictly at eating. In most cases the fish have moved back to their preferred summer areas which typically offer deep water, or at least deep water access, and are on a cyclical feeding plan. They are taking advantage of the warmer water temps to move around and digest more quickly, and are generally in a good mood. Along those lines, water temps have not yet topped out, dissolved oxygen is typically good in June, and young-of-the-year baitfish are abundant. In short, it’s the best of times for fish. Why jigging? Great question! I’ve always maintained that finesse jigging - that is 1/16-1/4oz jig heads, light line and rods, and smallish soft plastic bodies - is the most versatile fresh water presentation an angler can learn, and never is it more effective than when all the sport fish are thinking food. It can be fished deep or shallow, vertical or horizontal, fast, slow or even dead still. Beyond the versatility, another great thing about finesse jigging is that it gives off minimal clues as to its fakeness. The profile looks right, colors are often natural, and it is generally a small, non-threatening thing to eat. Geez, it even smells and tastes good if you use the jig bodies I use. It basically comes down to the fact that the innocent looking little jig gives them no reason to not eat it, and when they’re thinking food, that’s all they need to see. I want to quickly point out that this is not necessarily a match-the-hatch deal; its about giving them something to eat. Smallies or reservoir trout may be chowing crayfish but they’ll still happily grab a minnow should it be easy to catch. Walleyes may be feasting on shad but they’ll still snack a crayfish spotted crawling on the bottom. The only reason I even care about their primary food source is so that I can use it to locate the fish themselves, in a classic “finding your dinner by finding your dinner’s dinner” kind of way. Like I said, it’s about offering something non-threatening, that looks, feels, and acts; well, edible. One last thing before I mention presentation specifics; by June many lakes are getting a ton of fishing pressure. This turns off wary, mature fish - you know, the ones we really want to catch. In the case of pressured fish, I’m a proponent of fishing the fastest or slowest bait you have, nowhere in between. Fastest gives them no time to decide and earns you impulse or reaction bites. The slowest gets back to giving them no reason to not eat. So, what does my finesse jig set-up look like? The rod is 6’10” medium light power, extra fast action St Croix Legend or Avid spinning rod; they’re incredibly light and sensitive yet powerful and accurate. The reel is a size 30 Abu Garcia Revo Rocket for the large spool diameter and uber-smooth drag; both are important when dealing with light fluorocarbon line or thin superline. The Rocket has great line recovery speed for getting tight on fish or simply getting my jig back quick for the next cast. As for line itself, I use 6# Trilene 100% Fluorocarbon XL (XL is the spinning rod specific version) or 8# Berkley NanoFil. The former is used around wood or rock cover while the latter is better for longer casts and around vegetation. Honestly, that choice can go either way. What doesn’t deviate is my actual jig choices. Day in and day out, a 3” straight-tailed minnow body on an 1/8oz jighead is my go-to. Could be a Gulp! 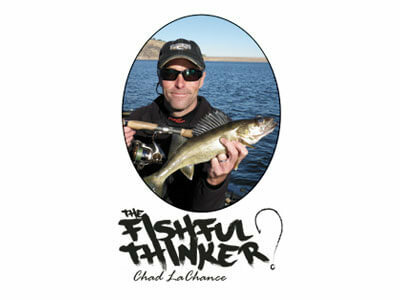 Minnow, a MaxScent Flatnose Minnow, or a Powerbait Pro Twitchtail Minnow. Force me to pick one and it’s the Gulp! Minnow for it’s superior scent and flavor. If I intend to fish more horizontally, I’ll put a 3” Powerbait Pro Swim Shad (a small “boot tail” body) on the same jighead and retrieve it, most commonly with a stop-n-go wind of some sort. Lastly, if I want to drag the bottom, I stuff the same jighead inside a 2.5” Berkley Power Tube. Simple. I’ll close with this; finesse jigging is a mindset. It’s a light rod grip, lots of line watching, and subtle presentations. Master it and the fish will come, especially in June!